The wards of Ramsey and Parkeston will attract 2 District Councillors due to the revised boundaries set by Tendring District Council. Purdah is the term used to describe the pre-election period, between the time an election is announced and the date the election is held. During that period central and local government are subject to certain restrictions. For local government, the restrictions relate to communications activity and are designed to ensure that councils cannot be accused of bias. District, Town and Parish council elections are being held on Thursday 2 May this year. The pre-election, or Purdah period, will run from Friday 22 March to 10pm on Thursday 2 May 2019. Ian Davidson is the Returning Officer (RO) for the Tendring District Council and Parish Council elections within the Tendring District. His responsibility as Returning Officer is to receive nominations, produce ballot papers, dispatch postal votes, provide staff and equipment for polling stations, verification and counting of votes and declaring the results. the council consists of 11 Councillors; 6 representing Ramsey Ward plus 5 representing Parkeston Ward. The Ramsey & Parkeston Parish Council hold monthly meetings throughout the municipal year, excluding December; a diary of meeting dates scheduled for the municipal year are available on the Diary Page here. Additionally planning meetings are held when deemed necessary, such as when time between the monthly meetings does not allow a decision to be made at such a meeting, being given 21 days from receipt of any application, to submit comments to Tendring District Council; or when any application received of a large scale is put out for fuller consultation via a public meeting. As directed by the Local Government Act 1972, the Ramsey & Parkeston Parish Council hold an annual Assembly and an Annual meeting of the council. Members of the public are welcome to all meetings of the council as advertised. 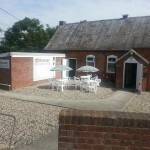 Ramsey lies just outside Harwich in Essex and is a rural retreat for locals and visitors alike. With so many historical attractions in the area, this corner of East Anglia has proved to be an attractive destination for many. 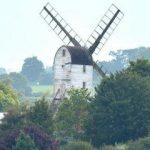 Ramsey Windmill is a Grade II listed Post Mill that was originally built in Woodbridge in Suffolk. It was moved to Ramsey in 1842 by Henry Collins, a Woodbridge based Millwright. The purpose of the mill was to grind corn, and it remained working in its current location until WWII. From 1974 – 1978, after a period of neglect, Ramsey Mill was restored to its former glory with the help of the Suffolk Mills Group. The mill stands at an impressive 48’ 6” with four double patent sails that set off the three-storey roundhouse magnificently. The mill is no longer working, but a series of ingenious systems have been put in place to prevent further deterioration. With a prominent position at the top of Church Hill in the village of Ramsey, St Michael’s Church is a historical monument not to be missed. 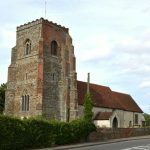 The church itself dates back to the 12th century and the tower, which is mostly built from brick, was constructed in the 15th century. The church is still in use serving both Ramsey and Little Oakley. The Ramsey War memorial Hall has undergone refurbishment to restore its former beauty. The hall is named after the famous war memorial in the centre of Ramsey. This memorial depicts St George spearing a Dragon and was erected to pay tribute to the many local people of the Parish who lost their lives during WWI and WWII. The North Sea Port village of Parkeston in Essex is home to Harwich International Port, formerly known as Parkeston Quay. The village is rich in industrial history, and since it was opened in 1883 by Charles Parkes, chairman of the Great National Railway, it has been an integral feature of trade and recreation within the UK. Parkeston Quay was built on reclaimed land, previously known as Ray Island, and served as an important GNR railway depot. Named after it’s founder Charles Parkes, it served as a main trading post with Europe before the line was re-routed and the passenger ferry service from Harwich was established. 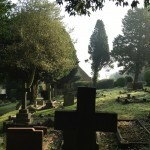 Parkeston Cemetery is a popular destination for local people to take a walk, within the grounds of the cemetery there is a Victorian Chapel, another historical attraction for visitors to the area.